love, faith, and purity” (1 Tim 4:12). Young Adult Bible Study is a community of young adults in their 20’s and 30’s who come together to encounter Sacred Scripture and put it into action in our lives. We meet on Wednesday evenings from 7-8pm in the Parish Center. Please contact Steven Pepin (swpepin@gmail.com) for the men and Megan Pepin (meganelliot27@gmail.com) for the women if you have questions. 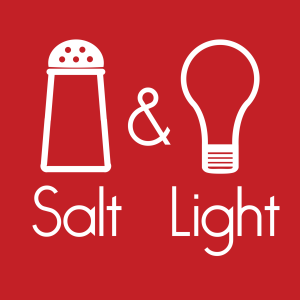 Salt & Light is the Young Adult Connect Group. We meet on the first Friday of each month from 7:00-9:00pm in a group member's home. The meeting includes sharing a meal and building friendships, discussing a topic that helps us grow as disciples of Jesus, and praying together and for one another. For more information, contact Steven Pepin (swpepin@gmail.com). Click here to register for the Young Adult Retreat on September 8, 2018. For more information about Holy Family Young Adults, contact youngadults@hfkparish.org. We are young adults in our 20's and 30's whose mission is to know and love Jesus Christ, to follow him as disciples, and to build up his Catholic Church, which is the family of God. We do this by worshiping and praying together, growing in genuine friendships with one another, serving our community together, increasing our knowledge of our Catholic faith, and evangelizing others by personally inviting them to lead lives transformed by the joy of the Gospel. Sign-up to receive our weekly emails!